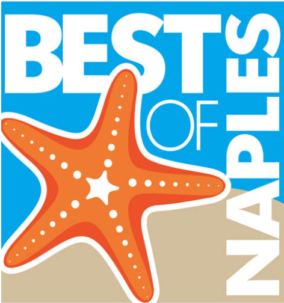 The people have voted, year after year, and The Village Shops has consistently taken home the gold for the best shopping and dining at Naples Daily News’ “Best of Naples” and “SWFL Choice Awards”! The Village has been and remained a favorite spot to Naples’ locals and tourists due to its many offerings of 40+ unique boutiques, six sparkling waterfront restaurants, exceptional services, and breathtaking views of the Venetian Bay. This Venetian inspired shopping center has been lovingly referred to as “Venetian Village”, “The Village on Venetian Bay”, and “The Jewel of Naples”, all representing the same unparalleled shopping and dining experience in Southwest Florida. In 2017, The Village Shops was awarded gold for best Shopping District which comes as no surprise when viewing the number of boutiques and the wide offering of women’s, men’s, and children’s fashions, galleries, gifts, home décor, jewelry, watches, and more! 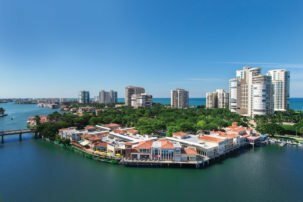 The Village Shops is the only location in Naples where you can enjoy panoramic waterfront views while strolling from shop to shop and even while browsing racks of upscale designer fashions inside the boutiques. 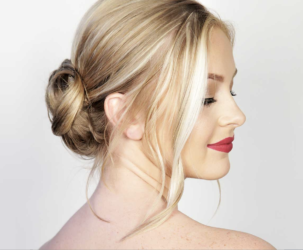 Robert of Philadelphia and Elegant Style Salon also contribute to The Village Shops’ top rated shopping experience. These one-of-a-kind salons offer skin and nail care, blowouts, cuts, styling, and more. These exception services ensure that the pampering does not end at shopping and that any day at The Village is truly relaxing! Best Waterfront Dining, Restaurant with a View, and Romantic Dining are among more titles The Village has been awarded year after year. From pub grub to elegant dining, there is something to satisfy any and all taste buds. 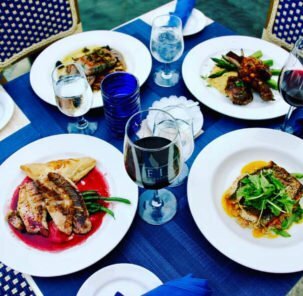 The Village’s six sparkling waterfront restaurants offer a diverse menu differing from one restaurant to the next; however, they all maintain the same 5-star, award winning ambiance and flavor. 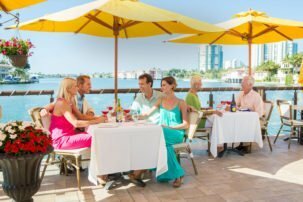 Bayside Seafood– one of Naples’ most beloved waterfront restaurants and a staple to The Village Shops for more than 25 years! The menu offers the freshest seafood, steaks, specialty pasta dishes, and salads. As if that’s not enough, wine lovers rejoice at Sukie’s Wine Shop, located off the front entrance of Bayside Seafood Grill & Bar. 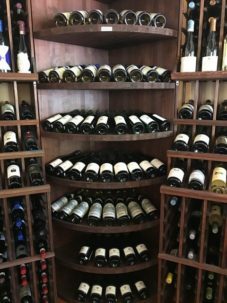 Sukie’s Wine Shop has a private Vintner’s Room, perfect for enjoying an intimate wine experience in a beautifully decorated dining room among private staff and amenities. Fish Restaurant-It’s all in the name! Fish brings the gifts of the sea to you, whether it’s seasonal, locally caught fish, freshly prepared sushi, or delicacies from around the world brought directly to your plate. MiraMare Ristorante– atrue Italian experience all while taking in the beautiful view of the Venetian Bay. You will be taken to Italy with every bite and undeniably savor the flavor until your next visit. Their menu is a balance of traditional and contemporary Italian dishes crafted with farm fresh and innovative ingredients. Taste and presentation are of utmost importance, which is evident when tasting the made-from-scratch pastas and pizzas and the perfectly cooked seafood and meat dishes. 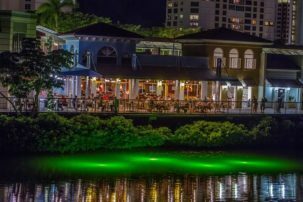 M-Waterfront Grille– formally known as Maxwell’s on the Bay, is a Naples’ local favorite to the year-rounders and a destination spot for visitors! It is the spectacular view of the Venetian Bay that has made the restaurant a favorite to many. However, it is the cutting edge continental cuisine and fireworks of flavors that keeps guests coming back. 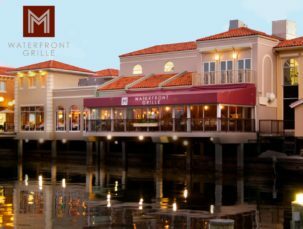 M-Waterfront Grille is passionate about serving only the freshest seafood, most flavorful steaks, homemade pastas, and more. The Pub –a friendly neighborhood hotspot with exceptional food and service! “Todays Catch” is always a popular menu choice with the freshest seafood served on a sandwich, salad, or prepared on a platter. Enjoy additional options of seafood, sandwiches, salads, and the famous “Pub Stuff” section of the menu. You’re guaranteed to find a personal favorite and a pint on tap to compliment it. T-Michaels Steak & Lobster– specializes in USDA Prime Steaks and Whole Maine Lobsters. Their menu consists of classic steak and lobster fare along with signature dishes from land, sea and earth. 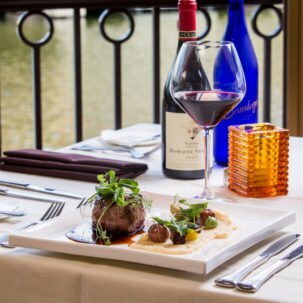 Enjoy daily specials, highlighting locally caught fish and fresh ingredients, and an ever-evolving wine list featuring bottles weekly from around the globe. 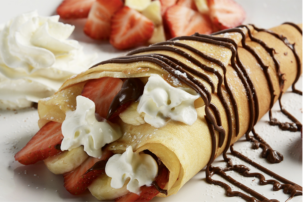 The Village is also home to Naples’ one and only Ben & Jerry’s Ice Cream, as well as Naples’ Best Crepes at the Rendez-Vous French Café. The adults aren’t the only ones enjoying a day on the Bay. 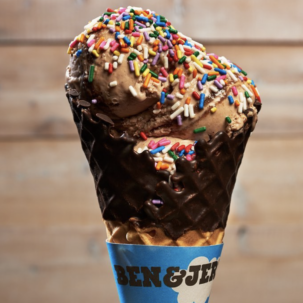 After the children pile the flavor on their Ben & Jerry’s ice cream cone, the north fountains are a popular spot for a splash, the best way to cool off on a hot Naples day! 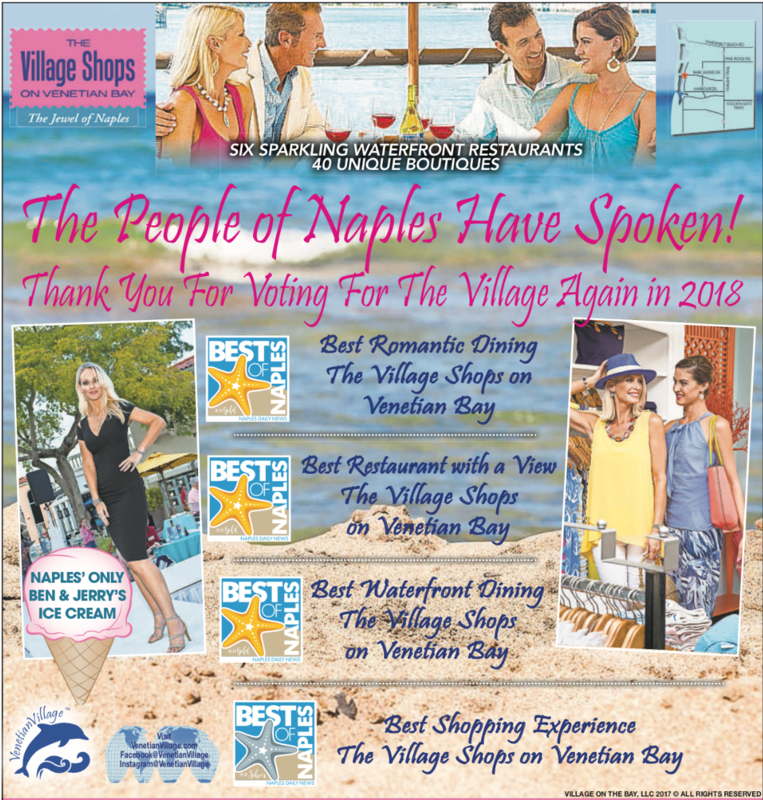 The Village Shops has been honored to be recognized in Naples Daily News “Best of Naples” and “SWFL Choice Awards” and proud to provide the Naples’ locals and visitors with an unmatched and memorable shopping and dining experience. In four years participating in the Naples Daily News awards, The Village Shops has received nine gold and five silver awards. See below for the remarkable history of awards!